Unboxing: Bntnews Beauty Box - September 2015 | Memorable Days : Beauty Blog - Korean Beauty, European, American Product Reviews. Hi girls! It has been a while! I'm so sorry for my long hiatus, my schedule has been so hectic and I had a few holidays which is why I didn't blog, but yes.. I'm back now! YAY ^^! Feel free to follow me on my instagram: kawaiipeachies, which I always keep up to date as well as my Facebook page. 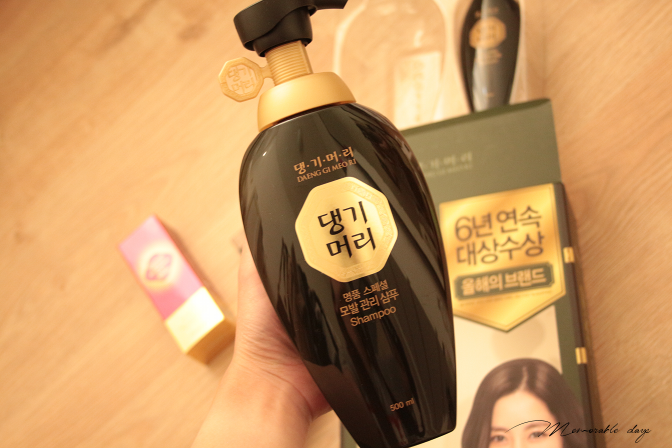 In this blogpost I'm unboxing the Korean beauty box from Bntnews. Bntnews is an internet newspaper that is specialized in Korean fashion, beauty, entertainment and k-wave. 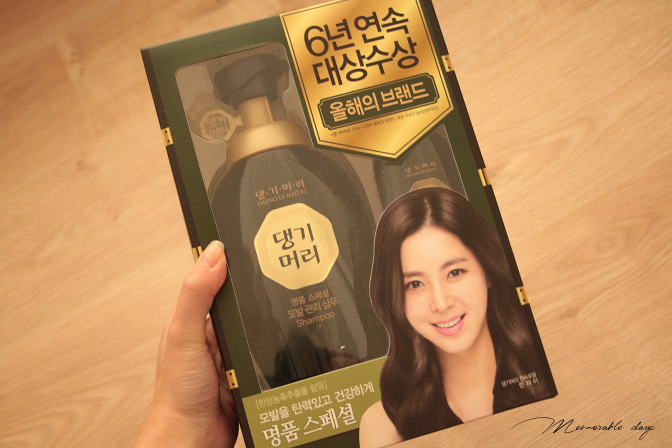 They recently sent me the September beauty box which includes 4 Korean beauty products. I will be revealing these products today as well as giving you a short review about it. I was so amazed by the packaging when I first saw this. It looks gorgeous! I've been using this shampoo for two weeks and I'm liking it so far. It feels great on my dry hair and it keeps it moist and shiny. It comes in a 500ml bottle and a 145ml bottle. According to their description is protects and softens the hair. 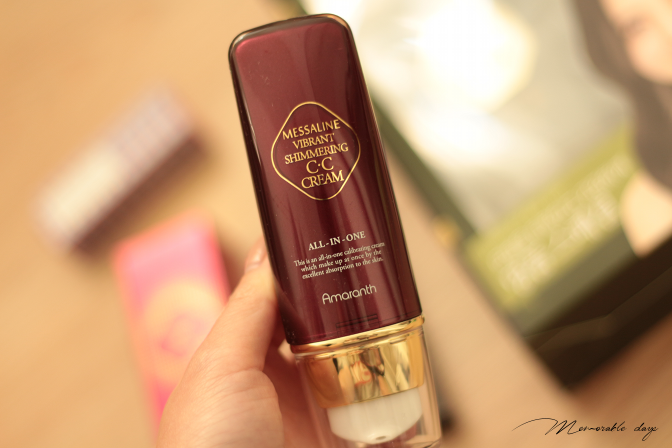 It contains more than 35% of ripe and enriched medicinal ingredients as well as lily extracts. It has full of vitamins and minerals, it protects the scalp and makes it moist. This product is for dry scalp, it's recommended to use it in the morning and at night, but I only use it once every other day since I don't think it's good to wash your hair every day. 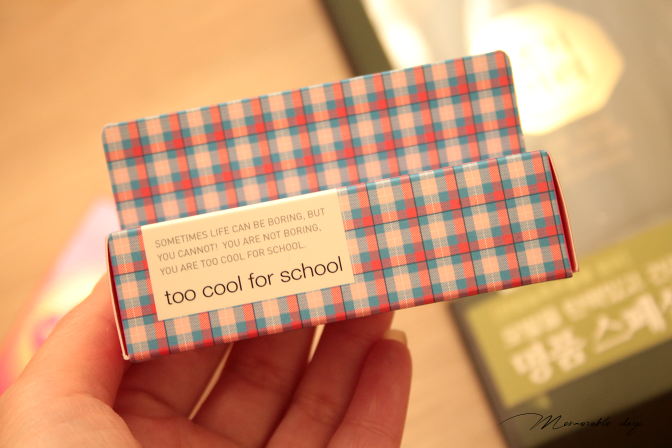 This is actually the first time trying a Too cool for school blaster tint and I like it! 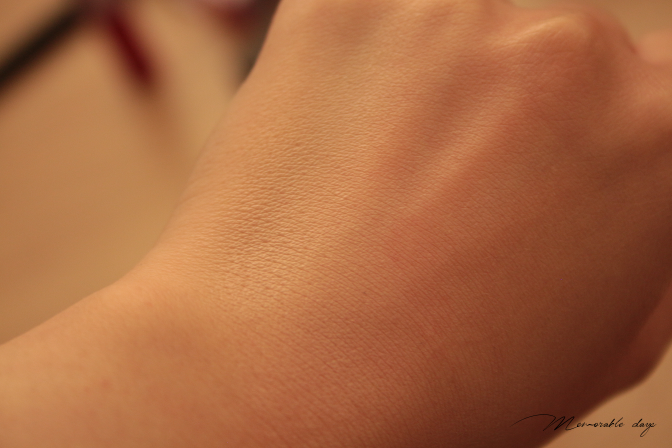 It has a very bright red color, it's glossy and the pigmentation is great. 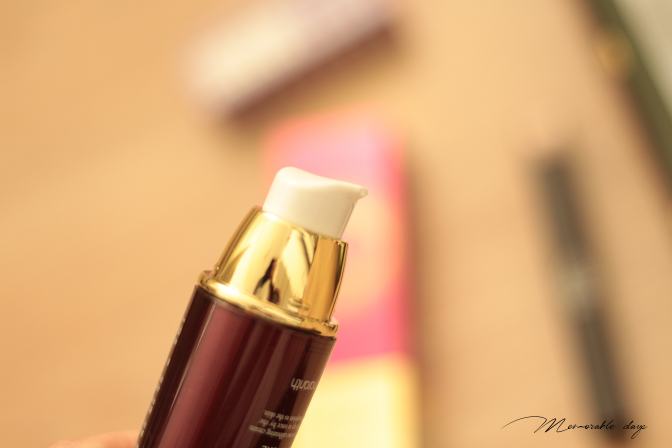 It adds glow and volume to the lip without applying a lip gloss. I received it in the color chic red. 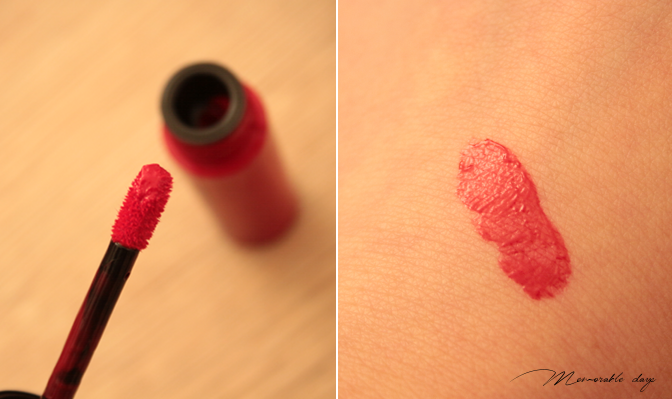 I can't really pull off a red lippie, but if you can, this product will be your best friend. It's so glossy and moist on the lips. 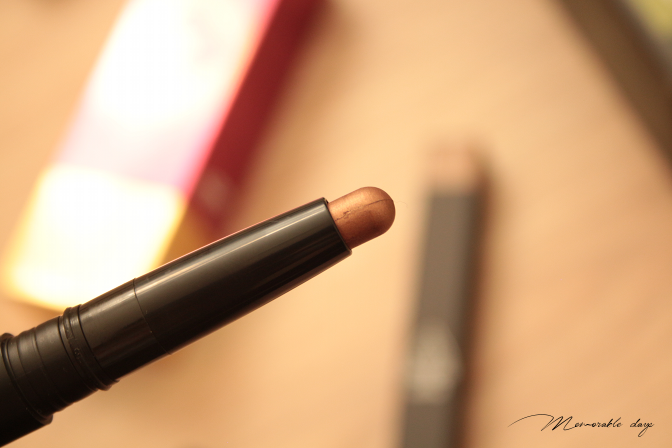 It's also my first time trying an eye crayon out from 3CE and I was surprised how pigmented this is and how long it stayed on my eyelids. 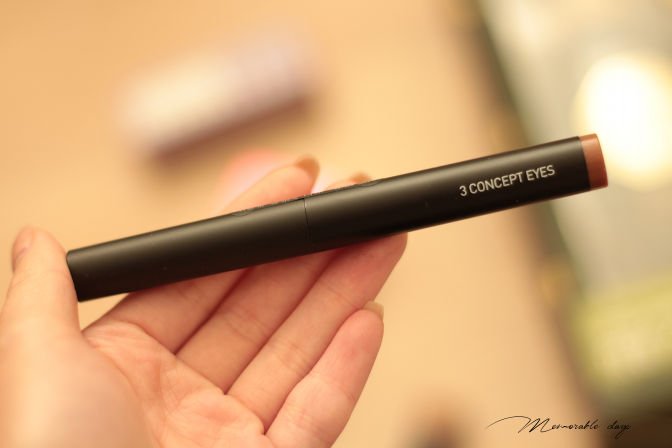 My eyelids are very oily during the day so oil- and waterproof is a must for me. 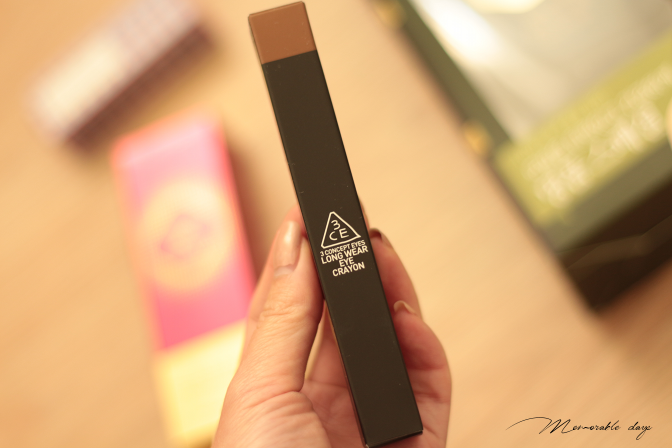 It applies softly and is easy to use and to carry around, I love it! The packaging is gorgeous as well - simple but nice. 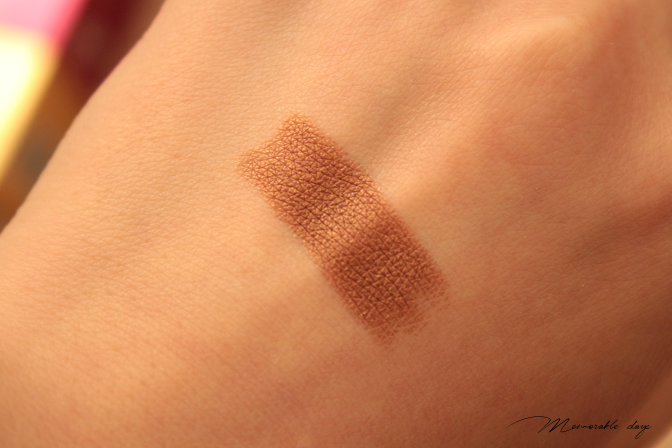 It has a shimmer finish which is good for every day wear. 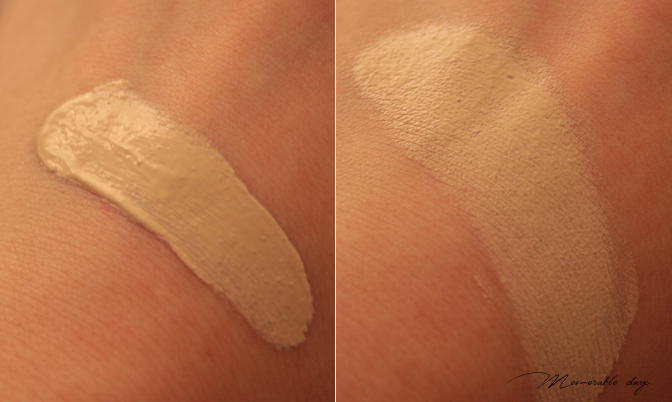 This CC Cream is perfect for people with a pale skin, points to myself lol. It has a medium coverage and is easy to spread. This high-adherence three-function correction cream does makeup and skincare at the same time. It deeply nourishes the skin while hyaluronic acid and mistletoe leaf keeps it moisturized all day long. 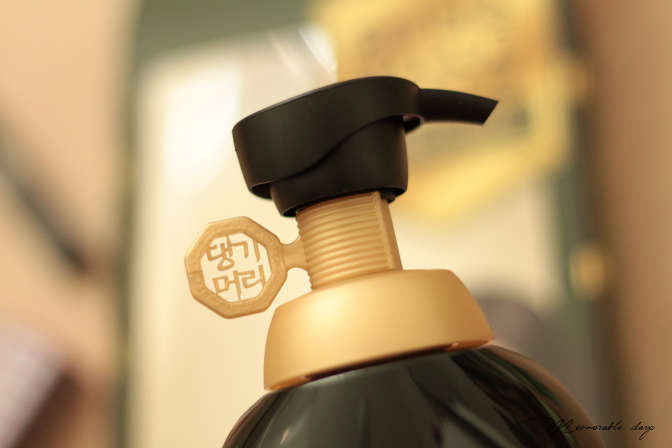 It also contains peony root extracts for a lively complexion. I'm loving the packaging of this product, it looks so classy and it has a pump which means you can get the proper amount out that you want. It smells very fresh and floral too. ARE YOU INTERESTED IN ANY OF THE ABOVE PRODUCTS?